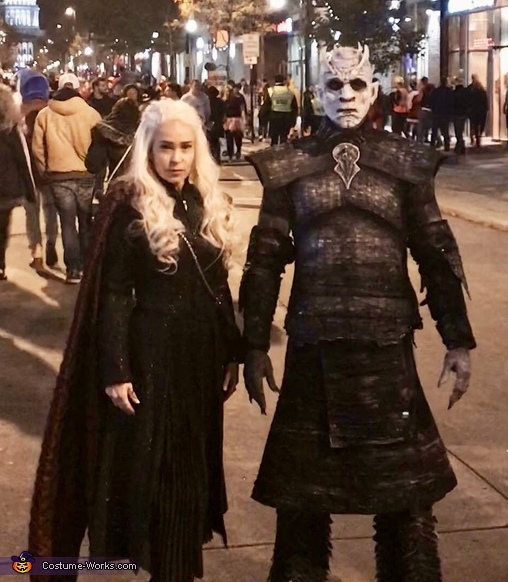 I am wearing the Night King and my wife is Kahleesi from Game of Thrones. She handmade my entire costume and then she did my entire prosthetics and makeup that took 7.5 hours to do. Pretty sure we pulled it off the best.